Every year, more than 625,000 Americans are released from prison, and nearly 11 million more cycle through local jails.1 Although their court-mandated sentences are complete, their punishment continues once they return to their communities. For formerly incarcerated individuals, a past mistake can create a lifetime of barriers to opportunity. Nationwide, there are more than 46,000 legal sanctions that restrict the civic participation of justice-involved individuals.2 The majority of these sanctions are employment-related. Nearly one-quarter of workers need a government-issued license or certification to participate in their occupation; with a criminal record, these certifications are often off-limits.3 Even in industries that do not require an occupational license, the stigma of a criminal record can close doors to economic opportunity. An estimated 9 in 10 employers use background checks in hiring decisions, and even a minor criminal record from decades in the past can disqualify a job seeker from consideration.4 In one survey, more than 60 percent of employers reported that they were unwilling to hire a person with a record.5 For the 70 million Americans with a criminal record, the impact is clear.6 Research shows that in the first year after leaving prison, only 55 percent of individuals report any earnings at all.7 The majority of those individuals reporting earnings still fall below the federal poverty line, with median income levels hovering around $10,000 per year.8 With few opportunities to earn a living wage, justice-involved individuals often struggle to meet their most basic needs, such as buying food or paying rent—and that’s if they can find housing. For those with a criminal record, stable housing is often out of reach. Like employers, most landlords run background checks—and even a minor criminal history can disqualify a prospective tenant. Taken together, these barriers can turn a criminal record into a life sentence. After decades of failed “tough on crime” policies, too many Americans are trapped in a cycle of arrest, incarceration, and economic disadvantage. The impact reaches beyond the individual, creating lasting harm for entire communities—particularly communities of color, which have been disproportionately affected by the justice system. 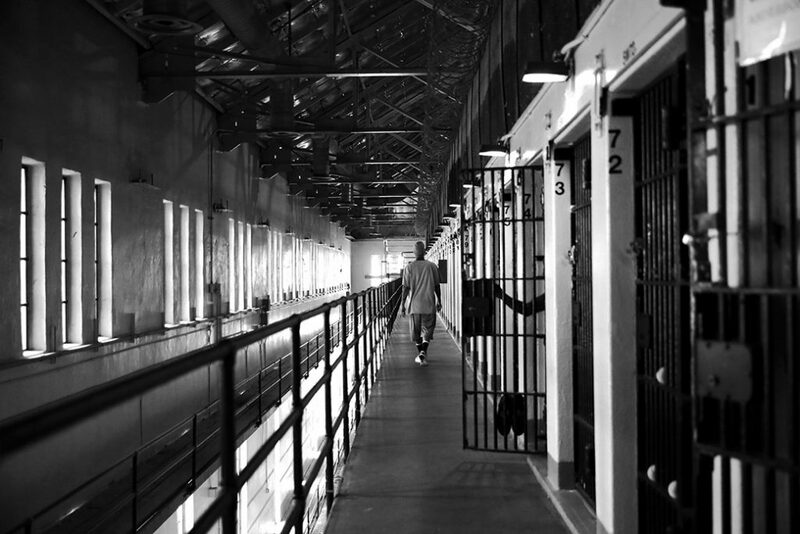 Without meaningful opportunities to build productive lives, people are more likely to return to prison or jail, driving up crime rates and correctional costs and exacerbating inequality. Nationwide, cities are working to interrupt this pattern by opening doors to opportunity for justice-involved residents. Mayors for Smart on Crime—a national initiative led by the Center for American Progress—has brought together 12 local leaders who are taking a smarter approach to criminal justice reform that is rooted in fairness and equity. The mayors represent cities of all sizes in different regions of the country, each with a unique local context that drives their public safety priorities. Through a range of evidence-based approaches, mayors are taking crucial steps toward ensuring that all justice-involved residents get a second chance. One in three Americans has a criminal record, often for minor offenses that occurred decades in the past.9 Any criminal history can create a lifetime of barriers to opportunity—even if the charge did not result in a conviction or if the crime is no longer considered a crime. The state of Washington, for example, voted to legalize marijuana in 2012,10 ending an era of racially skewed arrests and prosecutions for minor drug offenses.11 Although marijuana possession is no longer illegal, thousands of Washington residents still carry a permanent record for old marijuana charges, impeding their chances of finding jobs, housing, and other opportunities. The consequences are felt most strongly among Washington’s black residents, who were convicted of marijuana crimes at three times the rate of their white counterparts.12 In Seattle, Mayor Jenny Durkan is working to address the persistent harm caused by the failed and discredited policies of the war on drugs. This year, Mayor Durkan announced that Seattle will automatically vacate convictions and dismiss charges for misdemeanor marijuana possession.13 By giving people the clean slate they deserve—without the costly and time-intensive process of filing a court appeal—Durkan’s actions will open doors to opportunity for hundreds of Seattle residents. By banning the box, cities are giving all job seekers a fair shot at public employment. At the same time, cities are establishing dedicated pathways to employment for justice-involved individuals. In Washington, D.C., the Mayor’s Office on Returning Citizens Affairs (MORCA) has supported and empowered justice-involved individuals since 2008. Under Mayor Muriel Bowser’s leadership, the office helps clients create resumes, set up email accounts, submit job applications, and prepare for interviews. MORCA partners with private employers to support a job placement program, which connected more than 800 clients with unsubsidized jobs from 2011 to 2015.29 MORCA also offers computer skills-building classes in partnership with Byte Back, a local nonprofit focused on technological education, and launched an entrepreneurship training program with the D.C. Department of Small and Local Business Development.30 With the support of agencies across the city government, MORCA provides on-site behavioral health services, offers housing vouchers for formerly incarcerated senior citizens, and covers the cost of nondriver ID cards for re-entering residents. Baton Rouge, Louisiana, is poised to enact an ordinance that would end criminal charges for marijuana possession so that individuals pay a fine instead of serving jail time. Baton Rouge Mayor Sharon Weston Broome praised the reform as a way to address low-level drug offenses “without the stigma of prison.”35 Importantly, the new penalty structure represents a significant step toward addressing the harm caused by racially skewed enforcement of drug laws. Decades of “tough on crime” policies have created a web of barriers to employment, housing, and opportunity for justice-involved Americans. Even after individuals have served their time, U.S. society continues to treat them like criminals, turning a criminal record into a lifetime sentence. In a nation where one-third of adults have a record, the American approach to re-entry has significant implications—not just for justice-involved individuals but also for the millions of children, families, and communities that have been affected by the criminal justice system. Nationwide, cities are leading the movement to expand opportunities for all residents. CAP’s Mayors for Smart on Crime initiative brings together local leaders who are pursuing policies to dismantle barriers to successful re-entry and avoid incarceration in the first place. Through a range of smart, fair, and equitable approaches, these mayors are establishing a culture of second chances in their cities, ensuring that citizens who have served their sentences get a fair shot at better lives. Betsy Pearl is the campaign manager for Criminal Justice Reform at the Center for American Progress. Lea Hunter is a Research Assistant for Progress 2050 and the Criminal Justice and Executive teams at the Center.